Hello and thank you for stopping by today. 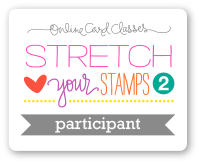 Here is my first card that I made for the Stretch Your Stamps 2 onlinecardclass.com class. 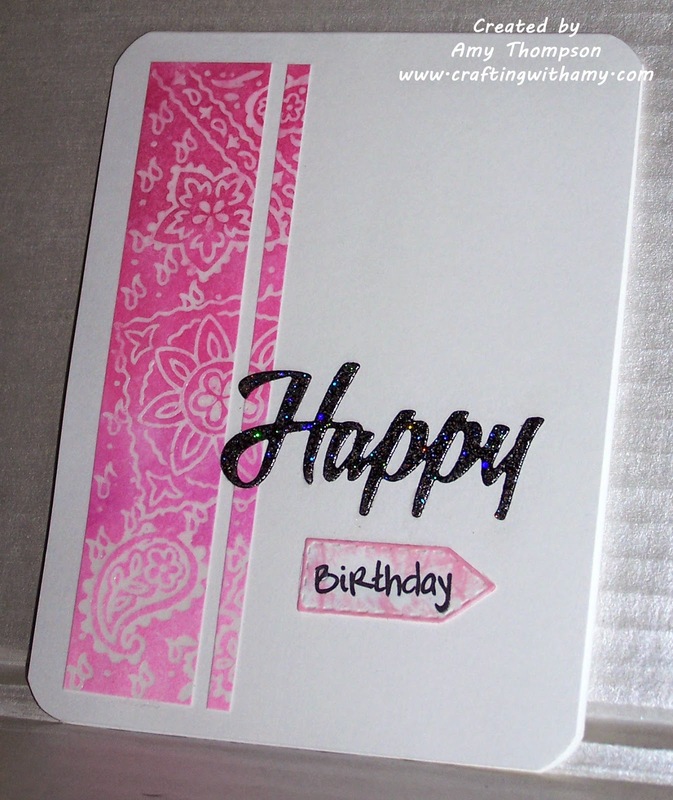 I first stamped the background stamp using clear embossing powder and Versamark ink. Then I used some distress inks and a background stamp to make the colorful background. 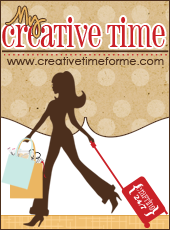 I used My Creative Time Happy Thoughts Stamp Set and Teeny Tag Greetings Stamp Set. I hope you were inspired by my card. Please check out this weeks challenge going on at Fantabulous Cricut Challenge Blog.